I’m officially mildly red-green color blind. As I understand this deficiency is quite common in males and really not much of a disability. And yes, I can distinguish red and green traffic lights with no problem, the real differences between the red-green color blind and other folks’ color perceptions are more difficult to explain . 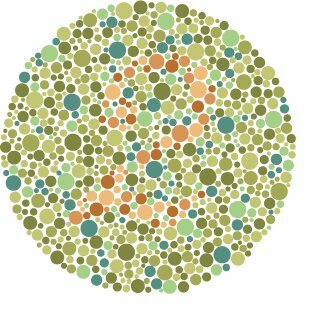 That said, I struggle mightily to perceive the green number two hidden in the dots below. I suspect each and every one of us perceives color slightly differently. But in the fall landscape, especially at a distance, I’ll lose the reddening leaves in the surrounding green. Lately, I’ve been enthralled with yellow. 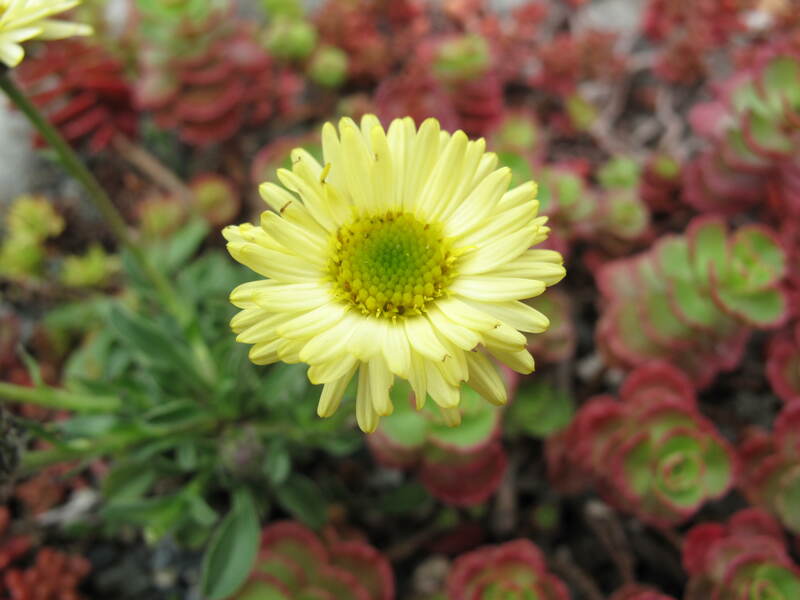 Plenty of alpine plants, sedums in particular, have stunning yellow blooms. Others, like this little Erigeron ‘Canary Bird’ also make fine trough plants. The open blooms above are starting to fade, the yellow is less pale when the daisy like flower just opens. Canary Bird is a “sport” of Erigeron aureus, which is a Washington State native found in and around Mt Ranier and the North Cascades. Distribution maps show the plant ranging into the Canadian Cascades. 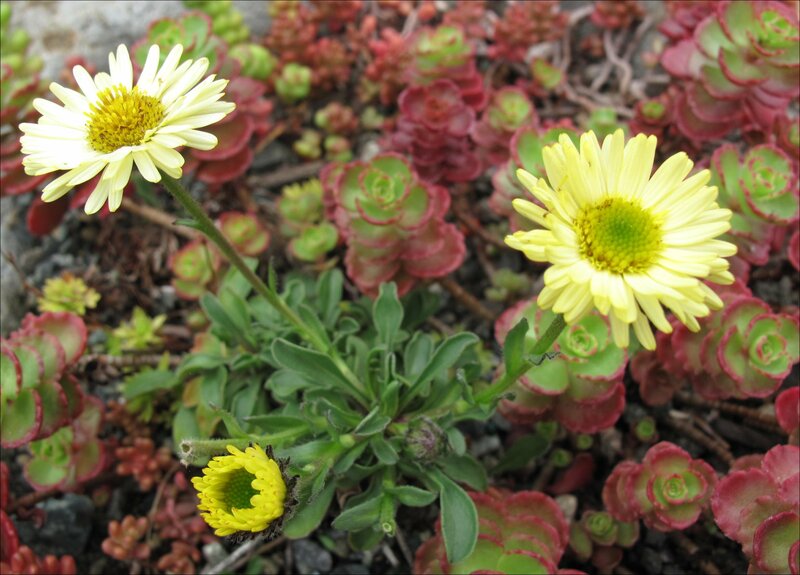 This entry was posted in Alpines, Pacific Northwest Natives, Plant Picks and tagged Erigeron aureus, Erigeron Canary Bird, Plants of Mt Ranier, Yellow blooming Alpines by Bart Arenson. Bookmark the permalink.